Look through a new window without leaving your home. 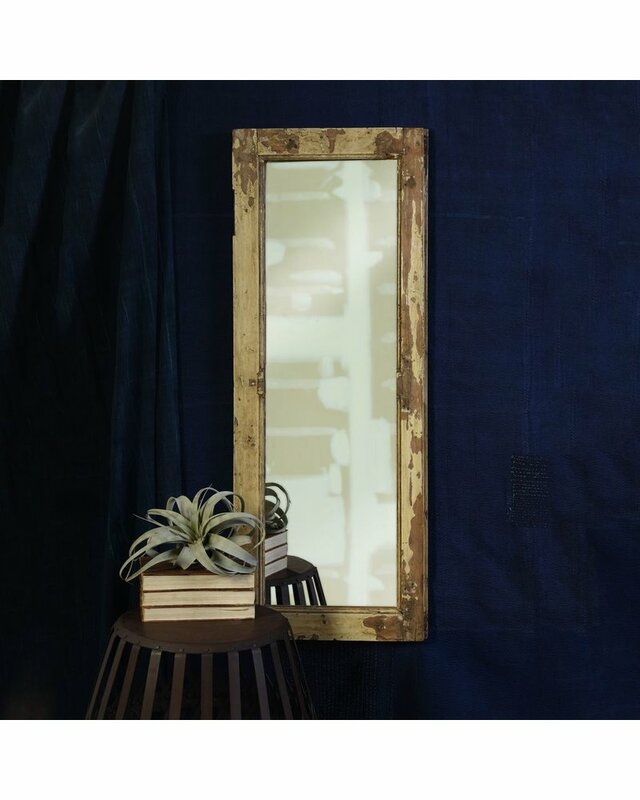 This salvaged wood shutter once held glass and has been given a new and reflective purpose. 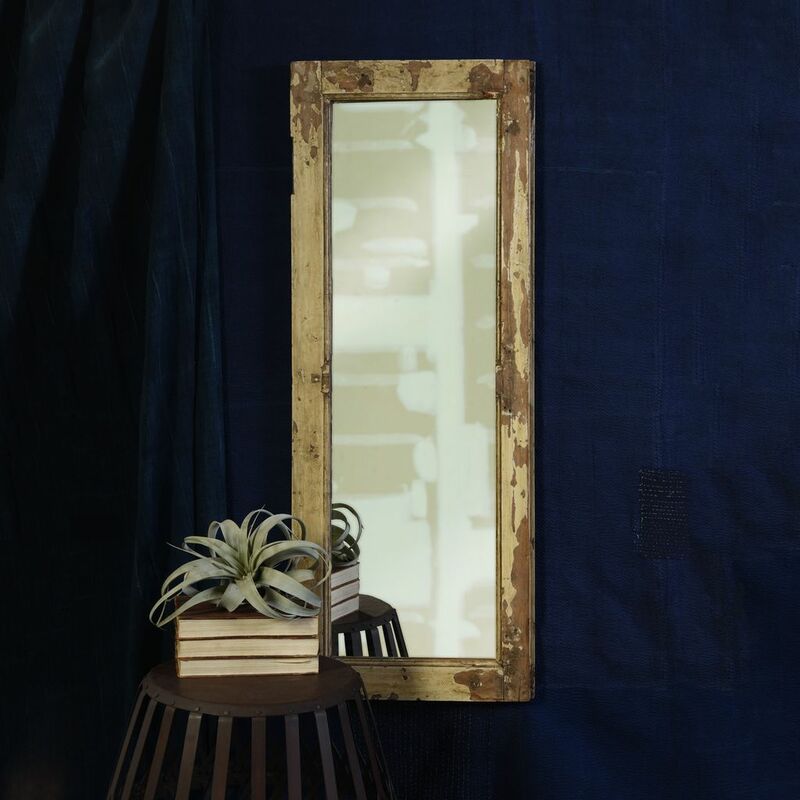 With natural distressing, each mirror will vary in size, shape, and color.